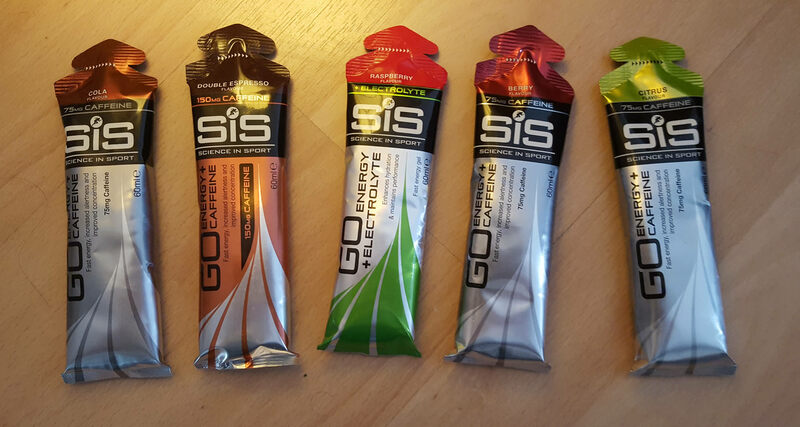 SiS (Science in Sport) generously sent me some samples of their caffeinated energy gels recently and I've spent the last couple of weeks trying them out. 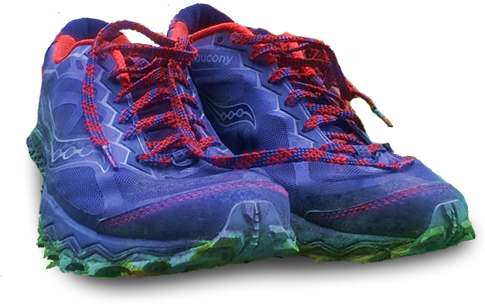 The original plan was to use them during the comprehensive set of long runs needed to build up for the Lakeland 50 in July and the CCC in August but.. as bad luck would have it, I've gone down with some heel-related niggle which has made a bonfire out of those plans! While I'm trying to manage what seems to be a mild PF/Policeman's heel issue, I thought it worth trying them out on the short runs I have been able to fit in and also the bike rides which have taken over the job of preserving at least some base fitness! I already use their gels but have always stuck with the one flavour - blackcurrant - for the same reason I always seem to stick with a cappucino in a coffee shop. I know it works and don't see much point in risking anything else. But a varied diet is a good thing and they also market an intriguing version that boasts 150mg of caffeine - the equivalent of 3 shots of coffee! Personally I don't use gels on anything shorter than 20 miles - I just don't find I need to eat anything up to that point. That's changed over the many years of running so you may find you get benefit from these on shorter runs / circuits etc. So what are they and why use them? 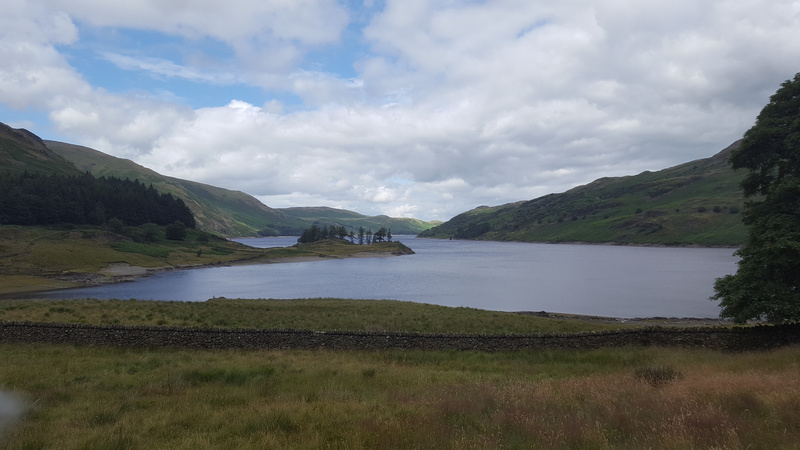 We have a finite supply of carbohydrate available in our bodies - anecdotally about 20 miles worth in running terms and we are fuelled by a mixture of carbs and fat. The more trained you become, the bigger proportion of fat you can burn in that mix and the longer you can string out your carb reserves. The faster you run, the more carbs v fat you burn. As you start to exhaust supplies, your brain - which can only use carbs - starts sounding the alarm and will shut you down if it decides it needs to corner supplies for itself - this is the Wall. Suddenly you will be reduced to a crawl.. it's only really happened to me once, at the Munich marathon when the weather was too cold for my numb fingers to get the stuff out of my bum pocket in my shorts. I didn't feel bad at the time so thought I'd ignore it only to crash like Wall Street in 1929. That's my understanding anyway.. I'm not a dietitian though so do you own research! Caffeine is thought to be an ergogenic substance (ie it makes you perform better).. with studies showing increased endurance and reduced fatigue. WADA (the World Anti-Doping Agency) had placed a limit on the amount that could be in an athlete's bloodstream (about 8 shots of coffee) but this it was removed from the banned list in 2004. However it is back on the monitoring list as of now and a limit may well be re-imposed. So that suggests there is some evidence it has an effect! 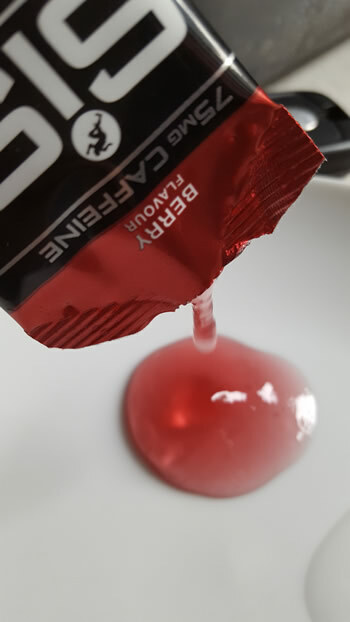 There is a huge range of energy gels on the market with it seems to me ever more exotic flavours but very broadly they are all aiming to deliver a carb hit alongside in some cases other salts/electrolytes. Some are very thick in consistency and you need to consume a fair amount of water alongside them; others such as these SiS gels - while they don't actually claim to be isotonic - aren't as gloopy and you can get away without adding water. The tradeoff is that they are slightly larger and heavier. It's difficult to show consistency with a static image but I think you can tell from the pic on the left they are quite runny. When I was intent on reducing my road marathon pb, I'd always use 3 of these at around 8, 15 and 22 miles in to provide a bit of a boost. As I discovered at Munich by their absence, they do seem to work and I suspect the sudden burst of sugars in the bloodstream keeps the brain happy that it has enough to be going on with. I also found them useful to mentally break the race into sections as it happens as a side benefit. In a full-on marathon, this will be my entire diet - I can't eat solid food and run that fast. For ultras I will mix in whatever 'real' food is on offer at the aid stations with these. Many ultras start in the small hours and a shot of caffeine is just what you need to stay alert as you're waiting for sunrise. Caffeine not only boosts alertness but adds a slightly sharper taste which reduces the sweetness somewhat which I prefer. I particularly like SiS gels because they aren't overly sweet. Some brands' products read like the desert menu at a Harvester and I find them even more sickly than the rhubarb crumble (or whatever) they are supposed to be emulating. SiS's flavourings are never overpowering and fade quickly in the mouth. The raspberry and cola versions remind me of those iced lollies you used to get as a kid. The citrus variety is a mixture of orange and lemon - more lime actually to my palate. The berry comes in at a mild and pleasant cherry taste and the double espresso a mixture of chocolate and coffee. I've found during a hard effort such as a flat-out marathon, your perception of taste changes, probably because your body is starting to crave sugars so its flavour is enhanced. This is another reason I prefer these milder flavourings. I'd always advise trying this kind of thing out in advance of any key race or workout just in case. I'm lucky in that I seem to be able to digest just about anything but I know a lot of fellow runners have much more sensitive systems. Assuming the injury can be managed (fingers firmly crossed here, I *really* don't want to have to miss the CCC) I'll be taking these along and will report back!